I have definitely walked down this before without realising it led to tomorrowland. 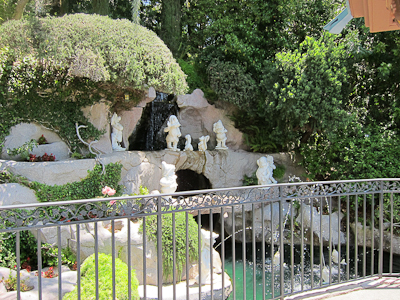 I hit the snow white grotto, thought “well, that’s cool,” and then turned around and went back to fantasyland. awesome. 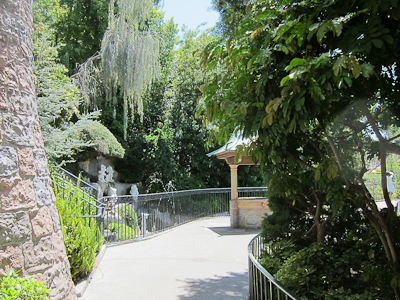 Yeah, I had approached Snow White’s grotto from the Tomorrowland side (it actually splits the difference between Fantasyland and Tomorrowland) and then never went further because I thought it was a dead end–LOL. We caught Peter Pan and “the pink one” here on our passage through here. Good tip! I’m going to have to try the other side now! I had no idea they were there, but I think they do pop in there frequently! Definitely a great place to look. And I really want to catch up with Peter Pan! It seems like he’s not out as much as the others are. I saw Peter Pan by the hub once with some teenage girls. One of them would give him an autograph book and as he was signing he’d hear something and run off! They all chased him around, it was quite a sight! Anothing thing I didn’t know! So where’s the other wishing well? Ah, well…if I told you, you’d stop reading my blog ;). I seriously love this wishing well! 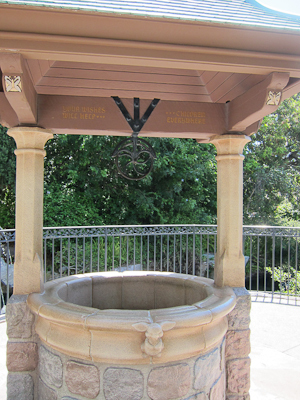 I like how you can hear Snow White’s singing “echo” in the well. It’s a great little secret! What year do you guys live in? 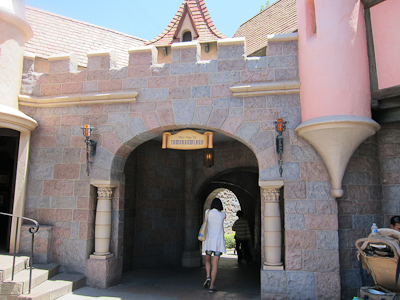 The castle passages posts were posted in May 2011. 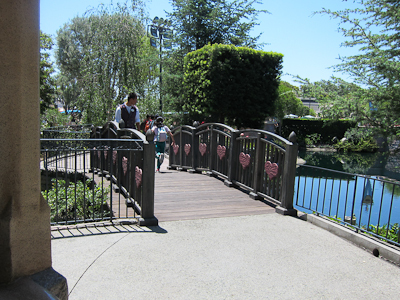 Disneyland is constantly changing, and the passage from the castle to Frontierland is now closed for construction of the new Princess Fantasy Faire (I blogged in August 2012 that the passage to Frontierland via Carnation Plaza was closed at that time, and in September 2012 I posted a picture of the concept art of the new Princess Fantasy Faire). 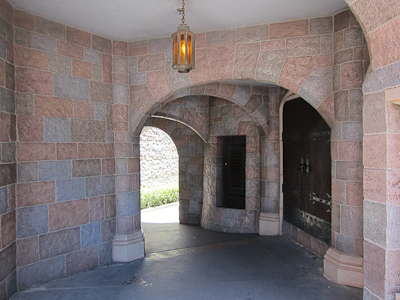 The castle passage in this post is still there and open. 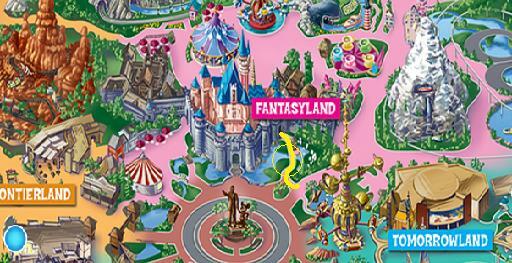 Try looking on your map or asking about Snow White Grotto. There’s a fun fact about forced perspective there :).